Registration is now open for the 10th anniversary of the European Fashion Award FASH and students in the EU and around the world are invited to submit their best work for 2015. 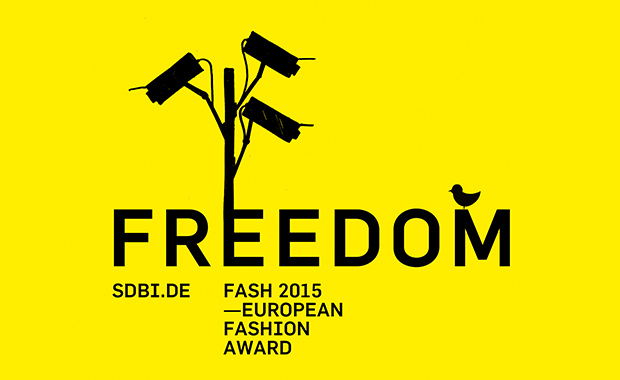 The European Fashion Award FASH 2015 on the topic of “Freedom” is searching for fashion as an expression of attitude: social utopia, poetic symbol of protest, or escape from the everyday routine. The overall value of the prizes for the 2015 Award is 80,000 Euro! In addition to cash prizes of 10,000 Euro students will also receive support for the presentation of their projects. The European Fashion Award FASH was presented for the first time in 2005 during the sporting goods exhibition ISPO in Munich. Since then it has established itself as one of the most important international endorsement awards for fashion design students.